Flamboyant trees (delonix regia) are about as vibrant as can be. They are endemic to Madagascar and have been introduced to many regions with tropical climates. 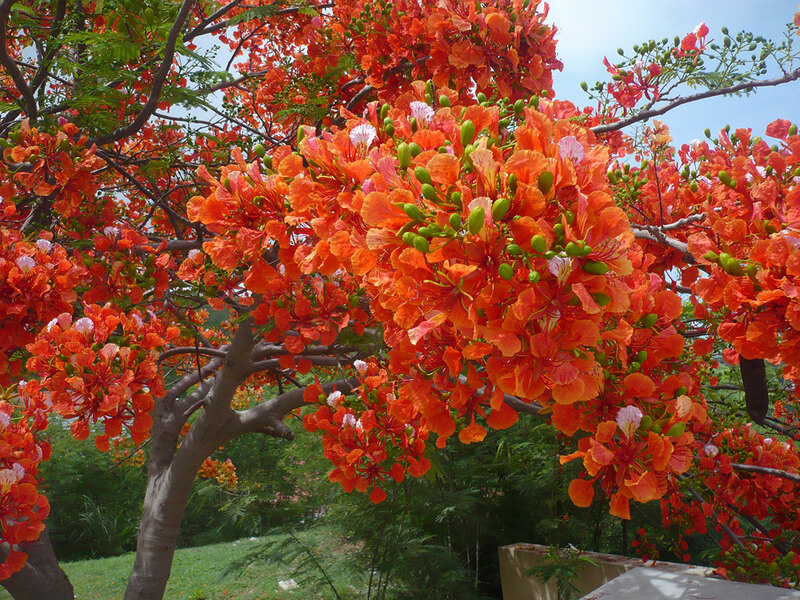 From spring to late summer they mark our island with splashes of bright red, to orange, to yellow. They are a favorite with local artists, especially Roland Richardson who has painted scores of flamboyants. The sea grape plant (coccoloba uvifera) native to our island, recently surprised me with its new vibrant reddish-brown leaves which emerged after a few days of spring rain. Due to its wind resistance and high tolerance of salt, it often grows near sea water stabilizing beaches and coastlines and protecting sea turtles and their nests. Its fruit is edible raw, cooked or fermented. Vulnerable? 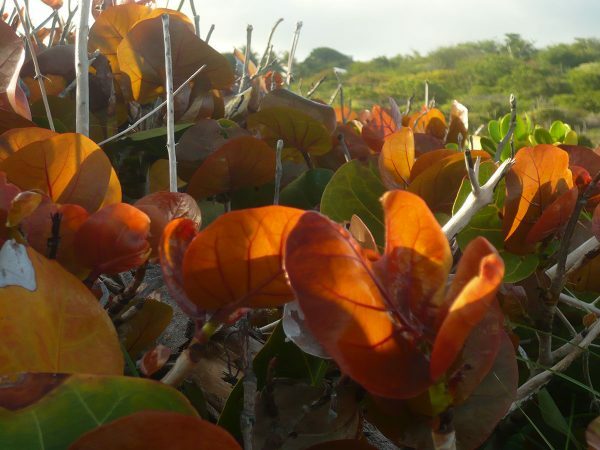 The sea grape is vulnerable to construction of villas, hotels, and apartment blocks which tend to be built far too close to our beaches, leaving no space for natural protective barriers.